Autumn is my favorite time of the year. I just love the smell of wet leaves, the crispness of the weather, and the excitement over the upcoming holidays. I love autumn so much, that when we chose our wedding date, we chose the first Saturday of autumn to make sure we “technically” had a fall wedding. There’s just something about it that makes my heart happy. Now that autumn has officially arrived, the opening of the local pumpkin patches has come with it. In fact, you’ve probably already scheduled your upcoming trip to the patch and have in mind everything you want to pick while you’re there. 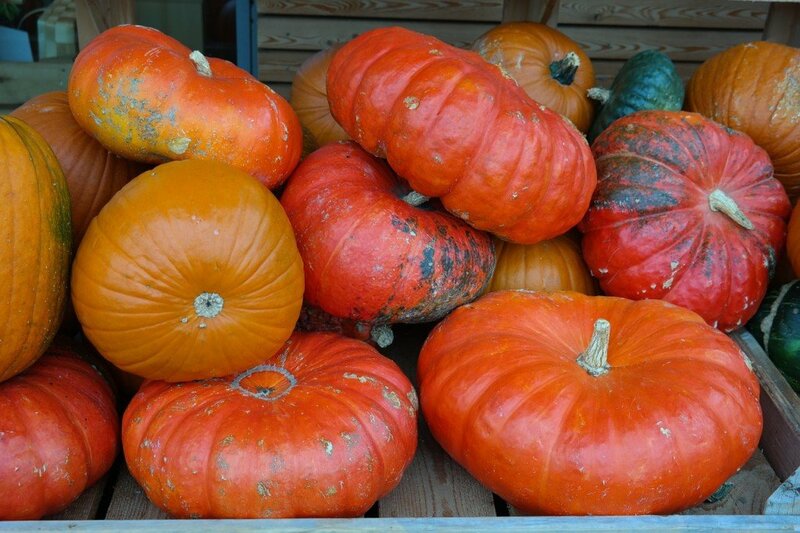 So let’s look at what kinds of pumpkins to buy for roasting, and how to cook pumpkin. What Are The Best Pumpkins For Roasting? There are two major classifications of pumpkins these days, one for carving, and one for eating. 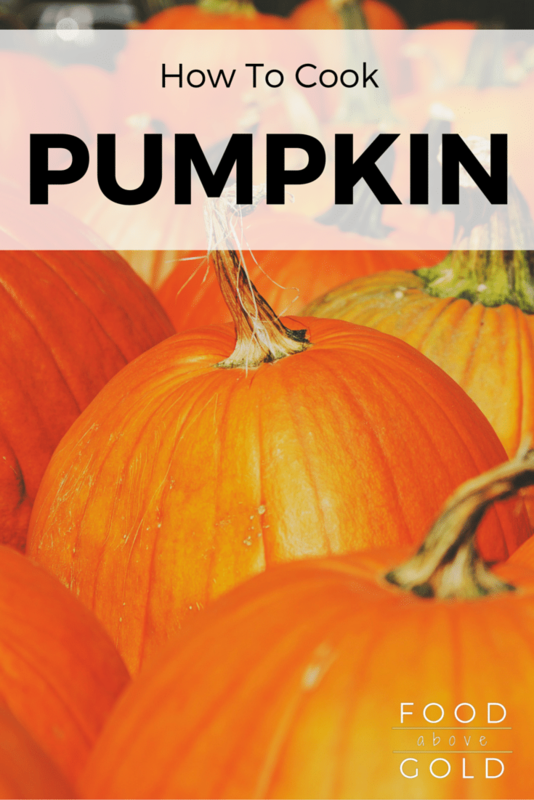 Let’s take a look at both and find out which you should buy for making your own delicious pumpkin meals. Carving/Jack-O-Lantern: These pumpkins are the ones most often found in the stores and that most people go to the pumpkin patch to pick. They have been bred to be large and attractive pumpkins that are uniform in size and shape, with a flat bottom and sturdy stem, and can stand up to carving. 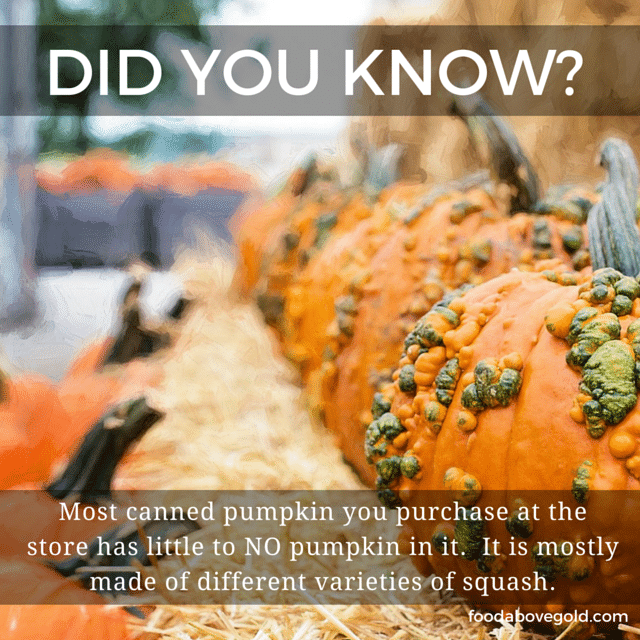 However, these pumpkins are often used for feeding livestock because they are grainy and not exceptionally flavorful when cooked. Sugar/Pie Pumpkins: Depending on where you shop, you can find them under either name. Pie pumpkins tend to be much smaller than carving pumpkins (around 6 inches in diameter) and their flesh is flavorful, sweet, firm, and smooth when cooked. While these are harder to find in the grocery, they are becoming increasingly more popular. Technically, you could use a standard Halloween pumpkin for roasting and eating, but if you can find a pie pumpkin in your store, that’s the way to go. In fact, I would recommend roasting and using a butternut squash in place of pumpkin before I would use a carving pumpkin – just trust me, you will be much happier with the results. I know this seems like common sense, but here is a disclaimer just in case – once you cut into a pumpkin and expose the flesh, you are making it a breeding ground for bacteria. Please don’t ever use a pumpkin that has been carved and sitting our for a few days in place of fresh when you want to cook pumpkin. If you’re looking to get away from using canned pumpkin, or maybe you just want to use diced pumpkin in your recipe, there are a few ways to accomplish this. Let’s look at four different ways to cook pumpkin. Roasting (which is actually baking, if you are up on your cooking methods) is probably the quickest and easiest way to cook pumpkin. You don’t have to peel it while it is raw, and the flesh develops a nice deep, caramelized flavor. It does yield a softer end product, but that’s okay if you are making something like our pumpkin & bacon pierogi. Remove Stem. Using a very sharp and large knife, carefully cut the top and stem off the pumpkin. Always make sure you are cutting away from your body. Any varitey of winter squash is difficult to cut due to how hard the flesh is, please be very careful. Halve. Set the squash on its bottom and cut the squash in half starting where the stem was. Remove Seeds. Using a sharp edged spoon (some people use an ice cream scoop), scoop out the stringy center and the seeds. 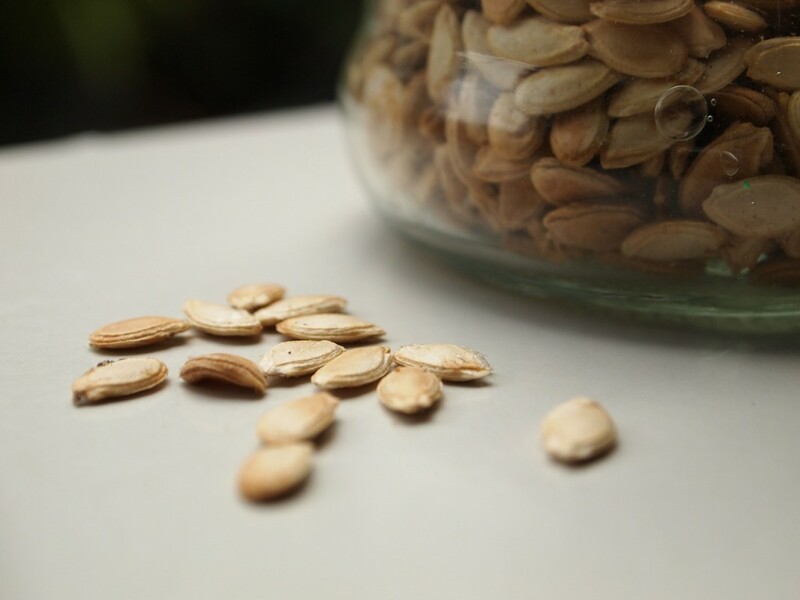 Save the seeds for later if you want to completely utilize your pumpkin. Coat. If you want a richer flavor and caramelization, lightly coat the pumpkin (both inside and out) with a little olive oil. This is completely optional, but I find it gives a better flavor. Roast. Place the pumpkin halves flesh side down on a piece of parchment paper on a sheet pan. Put in oven and roast for 45 minutes, or until the flesh is tender enough to be punctured with a fork. Cool & Use. Remove from oven and let sit 5-10 minutes before handling. When you’re ready, use a spoon to scoop flesh away from the skin – it should separate pretty easily. Sautéing a pumpkin gives you the opportunity to keep a watchful eye over the texture of your pumpkin. You can make something like our pumpkin tacos (recipe coming tomorrow) and have an al dente texture that makes it more like eating any other winter vegetable, rather than a smoother purée. Cut. Turn the pumpkin on its side and use a very sharp knife to make a straight cut across the top and the bottom to make both ends flat. This will remove the stem and blossom end. Peel. Place the pumpkin with one of the flat ends on a cutting board, and using your very sharp knife, slice with the curve of the pumpkin (about 1/8″ into the flesh) to remove the skin from top to bottom (kind of like a pineapple). Halve & De-Seed. With the pumpkin still standing up on one flat end, cut the pumpkin in half from top to bottom. Remove. Using a your weapon of choice (sharp spoon, special tool, or ice cream scoop), remove the fibrous strands and seeds (set the seeds aside to be roasted later for complete utilization) from the cavity until the inside is mostly smooth. Slice & Dice. Stand one half up on a flat end and looking for the markings that define the ribs of the pumpkin (the ridges on the outside of the pumpkin – similar to the lines on an onion), cut down toward the cutting board to make (mostly) uniform slices. Dice each slice into 1/2″ – 1″ pieces. Heat. In a sauté pan over high heat, heat up 1 tablespoon of olive oil. Add in pieces of pumpkin being careful not to overcrowd. Cook. Toss (or stir) as needed until pumpkin is cooked through and easy to bite into – about 7-10 minutes depending on the size of your cut. This one is great if you need to cook the pumpkin while you are away – but like roasting, it is going to give you a softer end product – which is great if you want to make purée. Cut. Using a very sharp knife, carefully cut off the stem and blossom ends. Halve. Set the pumpkin up on one flat end and cut the pumpkin in half from top to bottom. Remove Seeds Using a sharp tool, ice cream scoop, or spoon, remove the fibrous strands and seeds from inside of the cavity. Set the seeds aside to be baked later for complete utilization. Slice (optional). If your pumpkin is too large to fit in your slow cooker as it, cut it into smaller, manageable slices or pieces. If your pumpkin fits in your slow cooker as is, go ahead and put it in, rounded part up. Cook. Cook on low for 6-8 hours. You shouldn’t need to add water because the pumpkin will let off quite a bit of it while it cooks, but if your slow cooker has a lot of exposed bottom and you’re concerned, you can add 1/4 – 1/2 cup of water or so to help it out. Cool & Use. Carefully remove from slow cooker. Let sit for 10 minutes or so to cool a little bit before handling. This one is great if you want to make pumpkin a side dish or showpiece for your meal. You can turn pumpkin into roasted and buttered strips, spiced chunks (#pumpkinspiceeverything), or garlic pumpkin fries. Remove Stem. Turning the pumpkin on its side and using a very sharp knife, make a straight cut across the top and the bottom to make both ends flat. This will remove the stem and blossom end. Halve. With the pumpkin still standing up on one flat end, cut the pumpkin in half from top to bottom. Using a sharp spoon, special tool, or ice cream scoop, remove the fibrous strands and seeds (set the seeds aside to be roasted later for complete utilization) from the cavity until the inside is mostly smooth. Slice & Dice. Stand one half up on a flat end and looking for the markings that define the ribs of the pumpkin (the ridges on the outside of the pumpkin – similar to the lines on an onion), cut down toward the cutting board to make (mostly) uniform slices. Dice each slice into 1/2″ – 1″ pieces, if desired. Season. Place pieces or strips of pumpkin in a bowl and toss them with 1 tablespoon (or more if needed) of olive oil until lightly coated. Add salt, pepper, and/or other seasonings to taste. Spread Out. Put pumpkin on a sheet pan with parchment paper or a silicone baking mat and spread out so that the pieces aren’t touching. Bake. Put sheet pan of pumpkin in the oven and bake for 15-20 minutes, or until the flesh is cooked through to desired doneness and the pumpkin is slightly browned in color. Serve. Remove from oven and serve. Can I Cook Pumpkin Other Ways? Certainly! These are just my favorites. There are a lot of people who love to cook pumpkin by boiling, and some people use their microwaves – I just find that any of the methods besides the four I highlighted turn out a less flavorful product. Boiling, for instance, bleeds much of the flavor into the water, so when it’s time to use the flesh, it’s very lackluster. During the rest of the month of October, we will be highlighting different pumpkin recipes (that’s aren’t pumpkin spice) every Tuesday and Thursday – giving 9 in total. Also, we’ll be doing some other fun things, including Periscope videos about cooking with pumpkin – so make sure to go follow us @foodabovegold so you don’t miss out! Pumpkin Pizza : Slightly sweet, but absolutely delicious, it has bacon, arugula, and green apple on it! Pumpkin Tacos : This is one of my favorite go-to recipes and it is done in under an hour. Pumpkin Cobbler with Parmesan Chive Biscuits : A great way to use up any extra produce hanging out in your fridge. Pumpkin & Bacon Pierogi : Not for the faint of heart, this pierogi take a while to make, but the flavor is so good! Are you as excited as I am that autumn is here? What is your favorite way to cook pumpkin? Greetings! Very useful advice within this post! It’s the little changes that produce the most significant changes. Thanks for sharing!